Who the hell is that on the cover?! They did a great job of drawing him look built out of available plastic parts but he's got no markings I recognize save the 4th squad marking on his knee. Is there a release date for this yet or just the cover now? I'm even more stoked to read this book than I was Dante and that was the first hardcover I've bought in friggin' eons. Sure we know how it ends already thanks to the core rulebook, but that's par for the course with 40k fluff. A lot of it is fleshing out the details of things we know have happened. The Blood Angels have such lovely custom armor styles. that looks very much like the limited edition metal BA veteran SGT with added cape en minus jumppack. I'm sure that will all work out @evanswolves . With new sub-faction rules promised in the upcoming Codices they'll need all the existing characters in place. Got a pic of that model? Don't know why I didn't place it earlier, by his markings this marine is the sergeant of the 4th squad, 1st Company. Finished it, absolutely epic. This has to be one of Guy Haley's best ever. Unlike Dark Imperium, this one didnt have to waste space on world building, instead continuing right from what was set out in Dante. 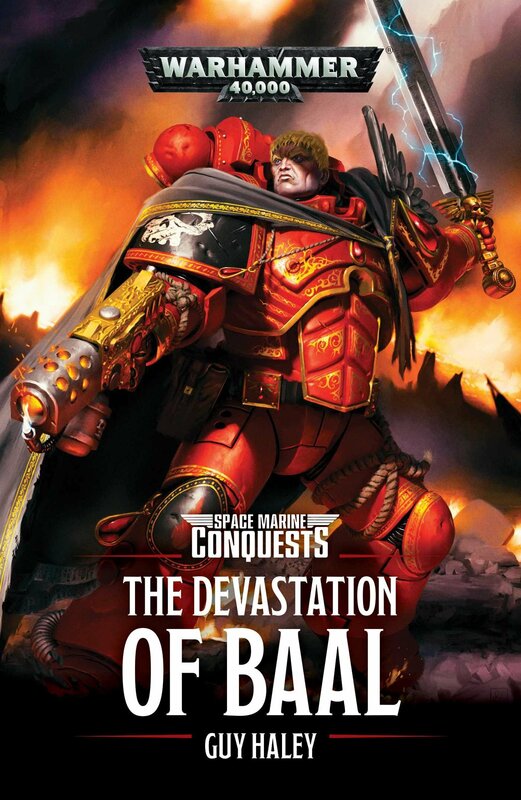 It is a must read for any blood angels fans. This book is sublime. A few noteworthy suprises, but big spoilers. Read at your own risk. Dante faces the Swarmlord, kills it and dying from his wounds. But... when he comes to, he is in the void and faced by Sanguinius' spirit whom heals him and commands him to live again, and Dante returns to the mortal coil. Guiliman names Dante the Warden of the Imperium Nihilus. Gabriel Seth is -VERY- angry about the Primaris marines and severely distrusts Guiliman.